Whether you want to Stop Smoking, Lose Weight – or if you suffer from Anxiety or Stress-related Problems, you are not alone. My Hypnotherapy Sessions have helped many people and they can help you too. On this site you will find detailed information about Hypnotherapy and Hypnoanalysis and how I use my skills, understanding and experience to enable you to become calmer, more relaxed and to achieve your goals and dreams. When you visit Hypnotherapy Lanark you will have my undivided attention and you can have complete trust in my compassion, care and confidentiality. If you would like your life to change for the better, you are about to take that first important step to make it so. You have what it takes within you, and I’ll show you how. Take your time, have a look around my website and call Hypnotherapy Lanark on 01555 893413 or send me an email when you are ready to learn more. "Davina’s treatment was invaluable – she was a tremendous help to me in what was a very tough time in my life." Davina’s treatment was invaluable – she was a tremendous help to me in what was a very tough time in my life. "...all you Dentistphobes out there, don’t suffer any longer, try Hypnotherapy it works!" ...all you Dentistphobes out there, don’t suffer any longer, try Hypnotherapy it works! "For me, the progress was fast and totally amazing! So we then worked on all the other stuff, including weight loss. To date, I have lost two and a half stone." For me, the progress was fast and totally amazing! So we then worked on all the other stuff, including weight loss. To date, I have lost two and a half stone. 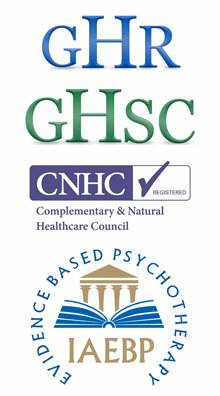 "I found hypnotherapy an absolutely wonderful experience... Many Many Thanks." I found hypnotherapy an absolutely wonderful experience and think that you must definitely be one of the most genuine and sincere individuals practising in Scotland. Many Many Thanks. "Hypnotherapy worked for me! I am no longer anxious and stressed out when I am in company." Hypnotherapy worked for me! I am no longer anxious and stressed out when I am in company. "I turned my life around and changed my eating habits and gradually I managed to lose the weight and enjoy my life again." I turned my life around and changed my eating habits and gradually I managed to lose the weight and enjoy my life again. "I would definitely recommend this type of therapy to change your outlook on life when all seems lost. I am now looking forward to a brighter future." I would definitely recommend this type of therapy to change your outlook on life when all seems lost. I am now looking forward to a brighter future. "I would recommend it to all smokers who find it difficult to stop smoking." I would recommend it to all smokers who find it difficult to stop smoking. "I’m no longer afraid to fly!!! Thank you"
"I recommend Davina to everyone out there who has problems like mine and I know you will find her as calm, reassuring, helpful and knowledgeable as I did." I recommend Davina to everyone out there who has problems like mine and I know you will find her as calm, reassuring, helpful and knowledgeable as I did – that is just the way she is. "Thanks for listening and helping. I will be recommending you to all my fellow students too." Thanks for listening and helping. I will be recommending you to all my fellow students too. The visualisations we practiced during the sessions work wonders when I am out on the course. Feel more relaxed too! The visualisations we practiced during the sessions work wonders when I am out on the course. Feel more relaxed too! Thanks again. "One session with you and that was it – I stopped that day and nearly a year later I am still a non-smoker." One session with you and that was it – I stopped that day and nearly a year later I am still a non-smoker. "After the session I just never wanted a cigarette again… no craving… no bad temper… nothing… I was just a non-smoker and still am..!" After the session I just never wanted a cigarette again… no craving… no bad temper… nothing… I was just a non-smoker and still am months and months later! "Hypnotherapy changed my life around. My life is so much better now and all my friends and family notice the difference in me." Hypnotherapy changed my life around. My life is so much better now and all my friends and family notice the difference in me. "I feel more positive and optimistic and I believe in myself far more." I feel more positive and optimistic and I believe in myself far more. When you need to unwind your coiled spring, or see things differently, stop running from the shadows in your life and start afresh. Whatever your challenges, there’s a caring and confidential hypnotherapy service in the tranquil Lanarkshire countryside. It’s called Hypnotherapy Lanark, and it’s ready when you are. Tick the box to confirm it's okay for me to email you. You can change your mind at any time by clicking the unsubscribe link in the footer of any email you receive from me, or by contacting me at info@hypnotherapylanark.co.uk. I will treat your information with respect and won't share it with anyone else. For more information about my privacy practices please visit my website. By clicking below, you agree that I may process your information in accordance with these terms. I use MailChimp as my newsletter contact system. By clicking below to subscribe, you acknowledge that your information will be transferred to MailChimp for processing. Learn more about MailChimp's privacy practices here.